Biotech entrepreneur Tess Whitford has built her life around the certainty of logic and thrives on solving problems. But when one of her dearest friends exhausts the reaches of medicine while fighting cancer and grabs onto the hope that traditional healers in Ecuador might save her, Tess has to let go of everything she knows—and every instinct she has. Unable to deny Ellie a request that might be her last, Tess flies to Ecuador to help. Together with Joline, another close college friend whose spiritual work inspired the trip, they travel to the small mountain village of Otavalo. Immersed in nature and introduced to strange ancient ceremonies, the three friends are pushed to recognize that good health is not only physical. Tess grapples with her inability to trust; Ellie struggles with a painful secret; and Joline worries about the contract she made with an aggressive businessman whose ambitions could destroy the delicate fabric of the local community. When an ayahuasca ceremony goes awry and an unlikely betrayal suddenly threatens to unravel their decades-long friendship, these three very different women awaken to a shared realization: they each have a deep need for healing. 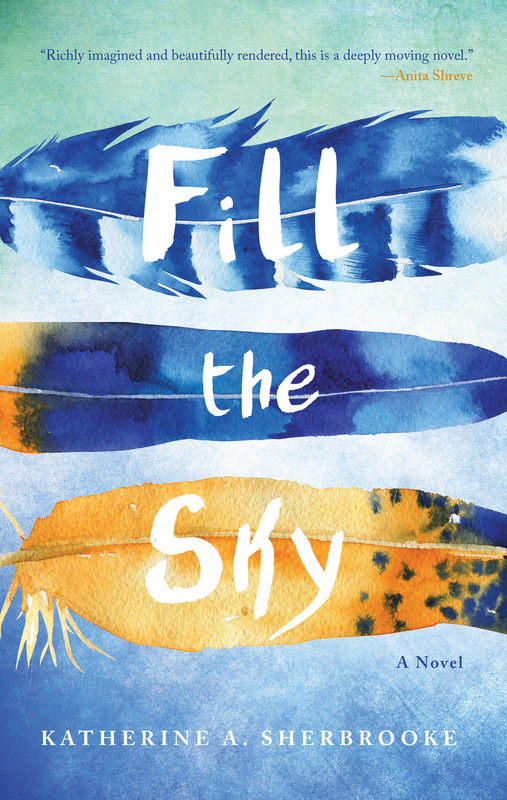 FILL THE SKY captures the challenges of mid-life, the hope we seek when we explore alternative paths, and the profound nature of women’s friendships. It’s a beautifully told and moving story about lifelong friends, the power of the spirit, and the age-old quest to not simply fight death but to shape an authentic life. KATHERINE A. SHERBROOKE received her B.A. from Dartmouth College and M.B.A. from Stanford University. 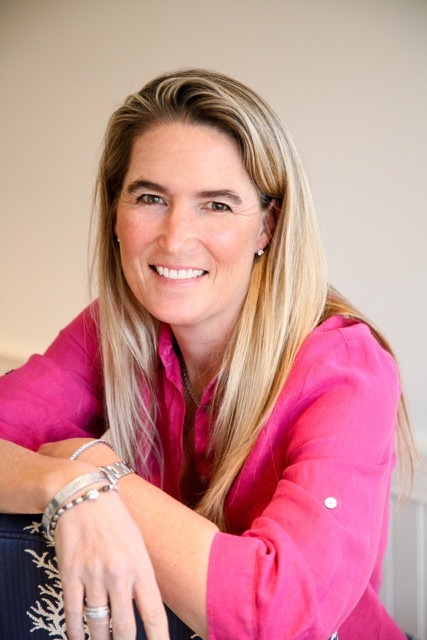 An entrepreneur and writer, she is the author of Finding Home, a family memoir about her parents’ tumultuous and inspiring love affair. This is her first novel. She lives outside Boston with her husband, two sons, and black lab. For more information, click to read this interview with Katherine. I’m seeing a trend in the novels I’m reading this fall, of books that could be described as “coming of middle age” novels. These are stories with protagonists in their late 30s to early 50s, who are jarred from some kind of complacency for one reason or another and go on a journey – either literal or metaphysical – and return altered, usually for the better. As a woman in her 40s, I really love this trend in contemporary literature. It’s as if the publishing world suddenly realized that we read, and we read a lot. Or maybe there are a lot of publishing execs who are in my age group. In any case, Katherine A. Sherbrooke’s debut novel Fill the Sky is a perfect example of a “coming of middle age” novel, both because the central characters are all in the age range I decided, and because it is a crisis that spurs them to action. Tess, Joline, and Ellie are all very different women, and yet, I believe each of us who live outside the pages of novels contain aspects of all three. I know I have some of Tess’s drive, some of Joline’s penchant for exploring new and different belief systems, and Ellie’s knack for harboring secrets. I think it’s the universality that makes it so easy to identify with all three of these characters. Author Sherbrooke handles the three separate-but-intertwined storylines deftly. We meet Tess first, and then learn about Joline and Ellie through Tess, before actually meeting them, but this convention works very well, especially since Tess’s is the dominant POV. I really enjoyed getting to know each of these women and seeing the way their differences both complimented and annoyed each other. I found all of Sherbrooke’s characters to be incredibly realistic and dimensional, and I loved the way she opened her novel with no exposition, letting us encounter each character in his or her own environment and then expanding upon that. The time in Ecuador almost made me want to fly there right now, but the knowledge that this is just a novel helped me find reason and balance again. While it’s the women who are the rightful center of this novel, I want to make a note of Parker, who is Tess’s ex when we initially meet him, but quickly drops the ‘ex’ fairly early on. This man is a super-special cinnamon roll who could only exist in fiction – almost – and I would happily read more about just him and Tess. But that’s another story altogether. In Fill the Sky Katherine A. Sherbrooke has given us a story about growth, change, and accepting who we are that resonated especially with me, but that I feel would appeal to adult readers of all age groups. It’s a wonderfully rich story that touches on a grim theme – cancer – without making it the only theme. Instead, it’s just one more element to deepen the tale and add layers of meaning. Goes well with beans, rice, tortillas, plantains, and excellent coffee.